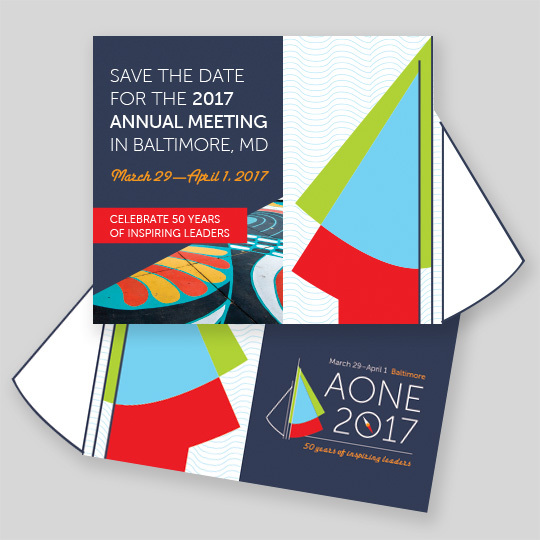 One of our favorite projects to work on is creating the conference branding for AONE’s annual meeting, which we’ve helmed for the past four years. 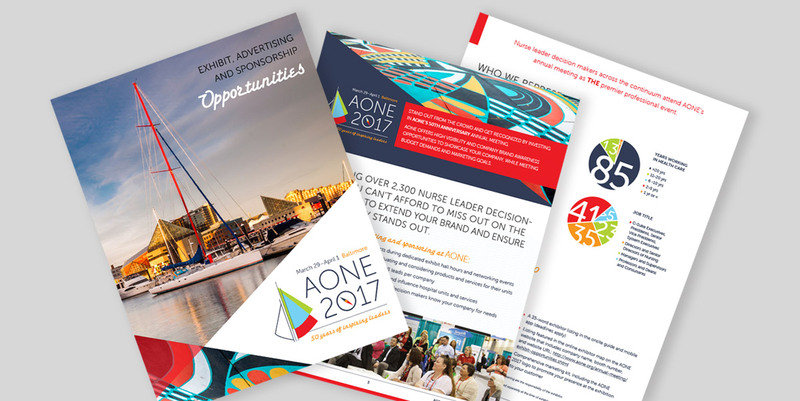 Our job is to distill the essence of the conference theme of inspiration and advancement along with a feel for the meeting’s location into a compelling visual language that will be used across all conference materials, from mailers to guides to stage sets. 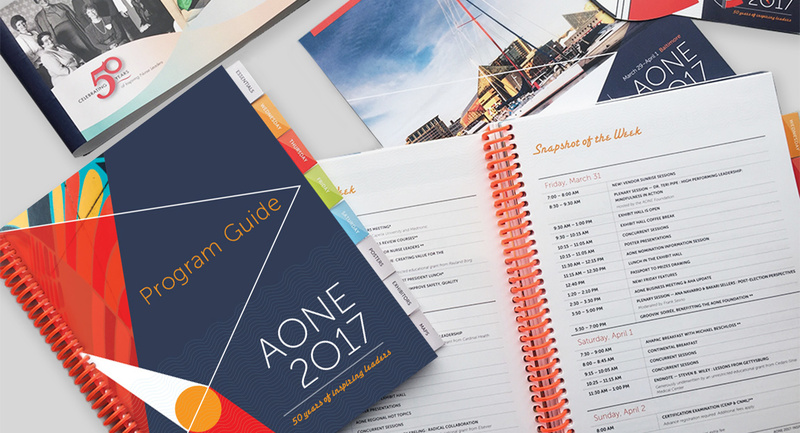 Each year, we do extensive research on the hosting city, both visual and historical, then translate our findings into the conference brand. 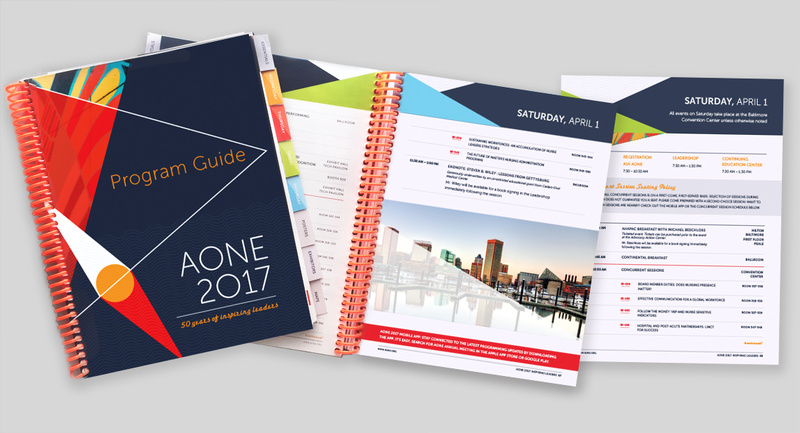 Our goal for 2017 was to portray the vibrancy of Baltimore, touching on it’s rich history. 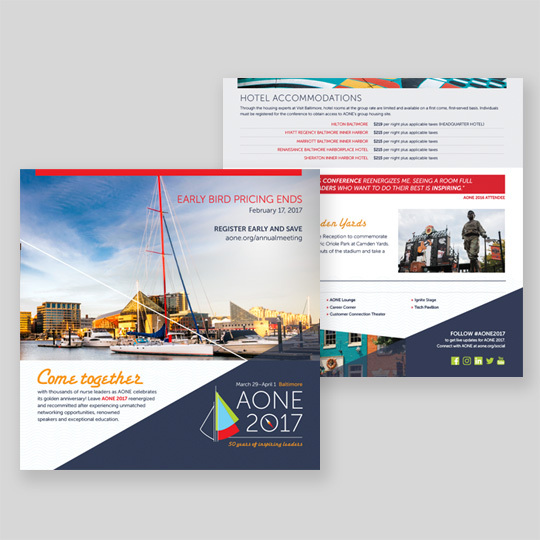 Playful colors, the dynamic spirit of the script font, bright photos, and nautical touches highlight the eclectic, seafaring spirit of Baltimore.